DC Building, a local design-and-build firm, has developed a niche for one-of-a-kind wood structures. Do you live in a barn? You might take offense at the question, unless the barn was built by DC Building, a local design and construction company that specializes in one-of-a-kind wood structures — beautiful barns that are used as homes, wedding venues and tasting rooms, as well as barn and equestrian facilities, storage sites and garages. 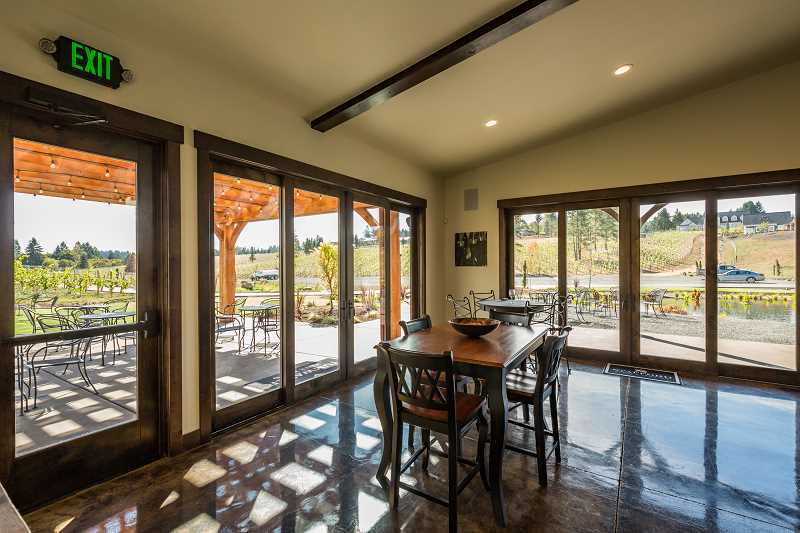 Dustin Gruetter, president of DC Building, says the company has a passion for building rustic, elegant barns, and has developed a niche market providing them for clients. "We built one and got such rave reviews," he said. "They are comfortable spaces — warm and inviting. And we enjoy building them." 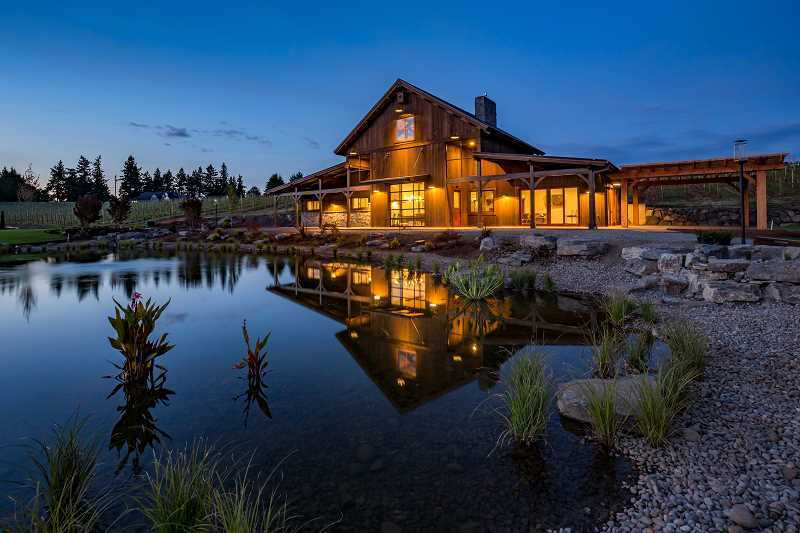 Gruetter says the company builds barns of all sizes for a wide variety of uses; everything from simple barns for a few animals to professional equestrian centers, homes, commercial buildings and more, all expertly crafted of Northwest materials. 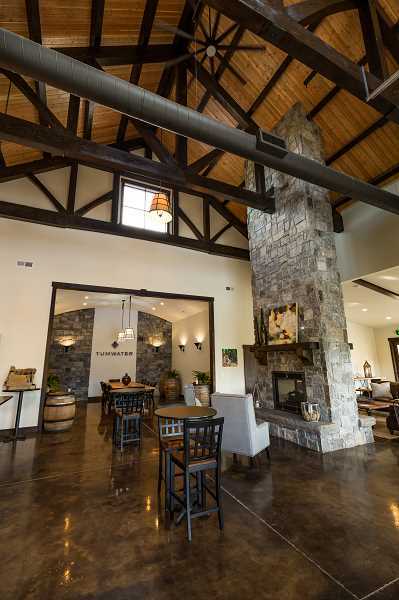 A project of special note completed this summer is the Tumwater Reserve Vineyard's Barrel House tasting room, at the 2016 Street of Dreams location on Schaeffer Road in West Linn. At more than 3,500 square feet, the Barrel House is wrought of Douglas fir timbers joined by the traditional simple-and-strong mortise and tenon method. The siding is red cedar from the Pacific Northwest. The basalt fireplace adds warmth and cozy charm in colder weather, and sliding doors open onto outdoor spaces to bring the party outdoors during warmer weather. Gruetter said the biggest challenges in building the Barrel House were the short time frame and materials. The crew had less than four months to complete the project for the Street of Dreams opening, and when a donation of redwood cedar was delayed, they had to find replacement wood. But the project was completed on time, and in tip-top shape. Business is booming for DC Building. 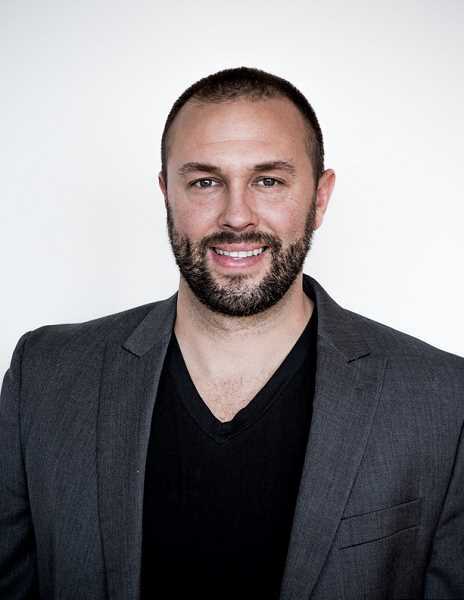 Gruetter says the company takes on about 10-15 major projects throughout the United States each year, and receives about 1,000 inquiries from across the nation each month. To handle the overflow of requests, the company has developed kits which can be shipped to a client for completion by a local builder. The kits can be customized, or DC Building can custom design a barn for whatever use the consumer has in mind. "The kits make it possible to give those clients what they need, complete with instructions and Northwest materials," Gruetter said. "Business has blossomed due to the kit business. It's been a lot of fun. I started this when I was pretty young and it's been fun to step back and take a look at what it has become." The public is invited to view the work DC Building did at the Barrel House, visit tumwatervineyard.com. The site is temporarily closed while it is awaiting its new operating license. To learn more about DC Builders, visit dcbuilding.com or call 888-975-2057.